China is far and away the world’s largest and fastest growing smartphone market. With the US and Europe not the growth engines they once were, Apple’s future fortunes depend a lot on how well the company does in China. That said, it’s unsurprising that the iPhone 5S and iPhone 5C ship date will likely be the same as the US and other mature markets. Although the post has since been removed, long-time Apple carrier partner China Telecom let it slip on Sina Weibo, the Middle Kingdom’s Twitter equivalent, that the iPhone 5S and iPhone will be available on Friday, September 20. 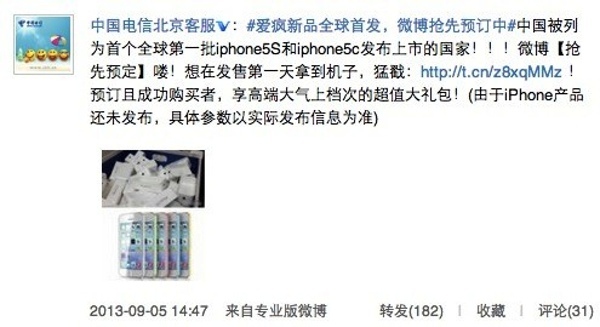 Although my Chinese is a little rusty, the above Sina Weibo post doesn’t directly say “September 20,” China Telecom does state that the iPhone 5S and iPhone 5S will available on “day one” along with other countries. That reads very much like September 20 to me. To whit, Apple has said it will simulcast the Sept 10 Apple Event to China and, the following day, company officials will introduce the new iPhones in Beijing — Apple is serious about China. 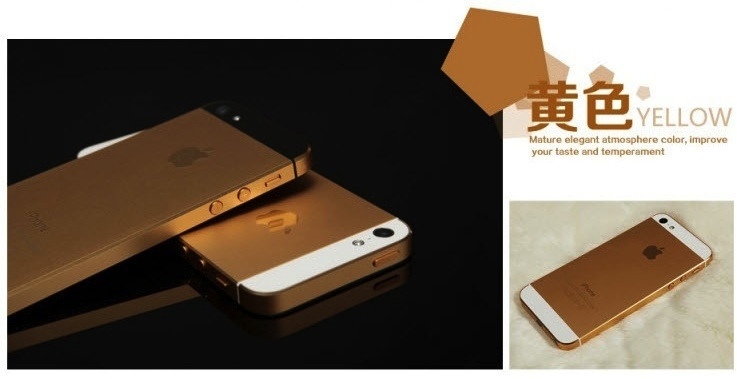 However, a Chinese electronics reseller, Dixintong, offers a slightly later date, September 25, for when its customers will be able to buy a shiny new iPhone 5S or iPhone 5C. Given that China Telecom is an Apple partner, it’s entirely possible the wireless carrier gets preferential treatment and will indeed begin offering the new phones ahead other sellers.